Question: "In my dressage lessons I am told to be light with my hands, but then I am told I need to keep a contact and that my horse should 'fill it up', but then he isn't light… Can you explain?" Paradox 1: We feel everything through the reins, but in practice we should do almost nothing with them. Subtle communication about the position of the head and neck. 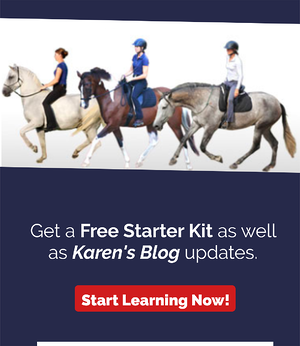 If you are actively using your reins for other than these 3 things, you are misusing them, and decreasing your chances of having a harmonious connection with your horse, as well as hindering his healthy biomechanics. Because we feel everything, we will feel different pressures in our hands, especially during different movements. But we are still receiving these pressures, not taking them! I feel my horse in the outside rein more in a bend, not because I added pressure, but because his body filled up the outside rein and I was there to feel it!Not every thing we feel in the reins must be corrected with the reins. You must learn to be an excellent diagnostician of the sensations that are coming from them.The better your freestyle, the more your reins will be free to do what they are for - those three things listed above. Paradox 2: The horse must respect the length of the reins, but be confident and trusting of the hands enough to reach into them and establish the connection. 1. Be able to give one, or both reins forward in a way that puts a loop in the rein for 3-4 strides and have nothing change: this is Ultimate Self-Carriage. 2. Be able to cause the horse to stretch and confidently take his neck longer without the rider needing to let go. The horse stays in connection all the way as he stretches. The first one doesn’t mean he has a 'head set' and the second doesn't mean he gets to pull the reins.The horse needs to be stretchable and looking to reach with his neck, yet respect the length of the reins. How can he do this? This happens by creating a balanced body (through finding the sweet spot of Relaxation, Energy and Balance). A balanced body will naturally be able to relax the top line, creating a horse who is looking to reach forward and be stretchable. The rider's body is what tells the horse when the reins will yield to him and allow the full stretch or whether there is a limit. Most of the horse’s spine is in the body. The neck is just an extension. Ride the body well and you will have the neck. Be ultimately trustworthy with your hands and make sure he understands the communications that speak directly to his head and neck. Paradox 3: The posture creates the connection and the connection creates the posture. There is a sweet spot of a certain energy, a certain balance and a certain level of relaxation where the horse can find his best healthy posture. It is different for each horse and each moment. By experimenting and being curious, we can find this sweet spot where the horse is moving in a way that allows his back muscles to move freely. When this is able to be fairly consistent, we can connect with it and enjoy a harmonious connection with the reins.A harmonious connection with the reins can be part of being able to find the sweet spot. The reins give us information and can help indicate some possibilities to the horse. The trick is to do this while only using the reins for their 3 purposes.I develop free-moving, balanced horses. Then I check that I can take the slack out of the reins without creating problems or confusions. At first, nothing needs to change when I pick up the reins ... don't hide, don't lean on them, don't worry about them. If I want a better posture, I talk to the body and wait. If the problem is really with the position of the head or in the actual jaw, or height/length of the neck, then I will talk to it using the communications I already established. But if the problem is in the reins because the problem was really in the body and it ended up in the reins ... then I have to talk to the body. If my horse is heavy because he is going faster than me, it is not a rein problem. If he is heavy because he didn’t turn, it is not a rein problem. If he is hiding from the contact, I have to ride the body and show him that my hands will not 'take'. My hands belong to the horse. 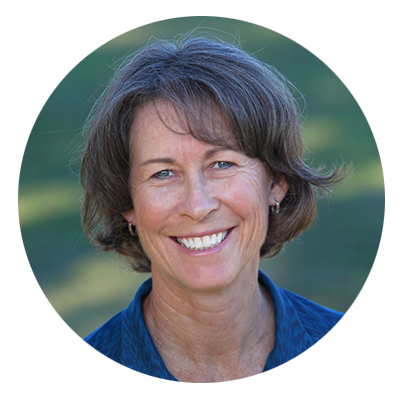 The energy must reach all the way to the front (see page 7 of my book, Dressage Naturally ... Results in Harmony, for a description of the circuit of energy) and my hands must wait there to receive it and not block or go against it. What I do with my reins will for sure effect the horse's posture and the horse's posture will for sure effect what I am feeling in my reins.